Since Julius Caesar, Shakespeare’s version, expressed mortal surprise that his best friend Brutus would put in the knife, there have been no end of political surprises at whose hand turns out to be on the assassin’s knife. In the case of the hit in January on then-Canadian Foreign Minister Stéphane Dion, it is clear to the Canadian foreign policy establishment, members acknowledge, that it was Chrystia Freeland’s hand. Before, she was a junior trade minister; after, she took Dion’s portfolio as foreign minister. Eight weeks later, it’s becoming clear to Canadian sources that the hand on the knife that is now sticking in Freeland is not the Russian one she is reporting to the Canadian press. That is sticking into her full frontally, and it is less than mortal. Her screams for help have brought a great many screamers to her side. It’s the knife in Freeland’s back that is more lethal. That, it is now revealed in Ottawa, is coming from a quiet group of foreign policy advisors around Prime Minister Justin Trudeau. They aren’t motivated by revenge on Dion’s behalf as much as concern for their Canada — the policy-making and money-making apparatus on which their future livelihoods depend. In that Canada they don’t want Freeland to remain foreign minister or become prime minister. For one thing, they say, she’s a liar and cannot be trusted by anyone.In December 2014, as he prepared his run at toppling Stephen Harper, then the Conservative Party Prime Minister, Trudeau assembled a council of advisors on foreign policy. Some were former military officers; some ex-diplomats; others were academics, think-tankers, lawyers. Some were what are known in the Berlin Chancellery, in the German language, as “shoes”. That’s individuals who are so far up the fundaments of their patrons, all you can see of them is their shoes. Here is the original list of Trudeau’s advisors. Freeland wasn’t one of them. Ten months after Catherine McKenna’s (below, left) appointment to this council, when Trudeau defeated Harper in the election, she was promoted to the cabinet as Minister of the Environment and Climate Change. She remains a backer of Freeland, and has been promoting her through media columns bylined by her husband, Scott Gilmore; he is a one-time Canadian government agent in the Indonesian war against East Timor. Left: Minister McKenna with Prime Minister Trudeau; right, Ambassador Kinsman speaking for Trudeau. Jeremy Kinsman (above, right) was the senior diplomat in the group; he has served as a counselor in the Canadian Embassy in Washington; then as ambassador in Moscow, Rome, London, and Brussels (European Union). Few Canadian foreign policy analysts are as acute as Kinsman at detecting political conspiracies aimed at Canada’s national interests from so many corners of the hostile world; nor at distinguishing the genuine conspiracies from the fakes. 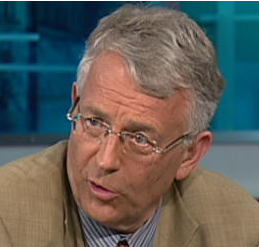 This week Kinsman went public in Ottawa with more conviction. On the surface he and other sources from the Canadian foreign affairs ministry are charging someone with a mistake in ousting Dion, and then giving him a dual post that is unprecedented – ambassador to both the European Union and Germany at the same time. Read the report from The Hill Times, a management owned, small circulation publication for Ottawa insiders, which on March 15 published this account of the “really unnecessary mistake” Trudeau and Freeland have made. The phrase and the judgement came from Kinsman to the Hill Times reporter. But Kinsman carefully avoided mentioning Freeland’s role in Dion’s ouster, and her role in consigning him to the empty space between Brussels and Berlin. “How can you have two ambassadors? You can’t,” Kinsman was quoted as adding. One of his friends, a former ambassador, sought anonymity in order to say the Dion appointment was “foolish” and “bad judgement”. Whose bad judgement do these men mean? And is the bad judgement limited to jobs for the boy, or does it extend to policy for the country? “Wacko” is the assessment of what is happening, as reported by The Hill Times from Ferry de Kerckhove (right), who has been a Canadian diplomat in Iran and NATO, as well as Canada’s ambassador to three of the most important Muslim states – Pakistan (1998-2001), Indonesia (2001-2003) and Egypt (2008-2011). 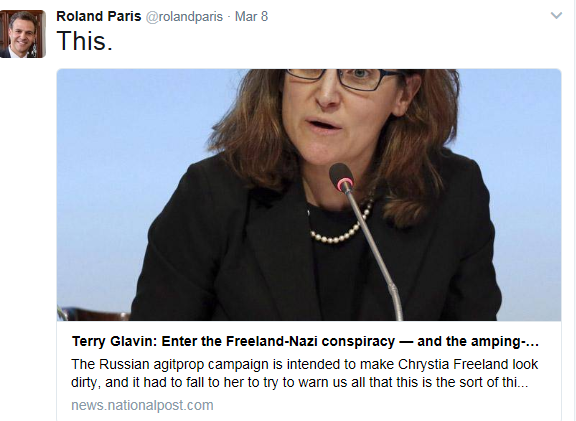 Paris continues to tweet in support of Freeland, and for Canadian war against Russia. To offset Paris’s excesses and replace a retiring Canadian spymaster turned national security advisor, Trudeau’s staff decided in May of last year to pick Daniel Jean, a foreign ministry veteran to be the new national security advisor. Daniel is still at his post, and has made almost no news. He appeared publicly after Freeland was sworn in, but only to explain what he and the rest of the Canadian government didn’t know about US President Donald Trump’s travel ban from Muslim countries. According to more than one Canadian source, in putting wasps in the beehive Trudeau has created policy confusion and vulnerability for the policy-making regulars in the ministries and uniformed forces, as well as the veterans, establishment men, and power brokers like Kinsman. For them Freeland has been a rival they lacked the resources and the conviction to fight. They also calculated that for as long as Hillary Clinton looked likely to win the US presidential election, it was foolhardy for them to challenge Freeland directly. For details of the opportunity Freeland expected from Clinton last November, read this. Then came the cold wind for Trudeau in January. A Toronto Star poll showed the worst numbers for Trudeau since his election day in October 2015. 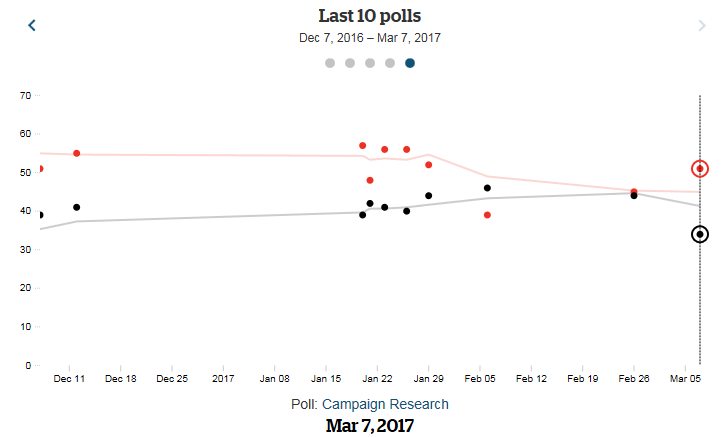 His approval rating was 48%, down 3 points from December 2016; down 10 points from November. His disapproval rating jumped over the same interval from 32% to 42%. Canadian politicians and analysts, as well as US observers south of the border, are asking whether Freeland is biding her time to challenge Trudeau for the prime ministry? The answer is in the political wind, Canadian sources say. 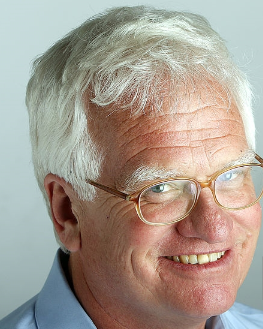 They point to Wednesday’s opinion piece in the Toronto Star, the country’s largest circulation newspaper, in which national affairs columnist Thomas Walkom assesses which way the wind is blowing for Freeland. In the British and American constitutional democracies the issue which obliges members of parliament and ministers to resign their office is an act of public turpitude, like lying. Canadian sources believe there is an active Ottawa faction which aims to oust Freeland for just that. For them, as well as for the personal advisors of Trudeau seeking to conserve his power against the dwindling polls, this is the value of the story of Freeland’s grandfather; his wartime involvement in the ethnic cleansing (mass murder) of Jews, Poles and Russians from the Ukraine; in Freeland’s involvement in the current war against the Russian-speakers of eastern Ukraine; and in her lying. Freeland’s small lie about meeting President Vladimir Putin last November, and talking to him at length in Russian, attracted no attention when Freeland said it publicly last January. “I’ve spoken with the top guy in Russia quite recently,” Freeland claimed on Canadian state radio on January 13. “We spoke in Russian and we had quite a long conversation.” The Kremlin records no such conversation took place; a spokesman for the president added: “Vladimir Putin did not have a meeting with Freeland.” For more details, click to open. There are Canadians in a position to know who believe there is an operation against Freeland; that it started in Trudeau’s office; and that it is picking up momentum in the foreign policy establishment. These sources believe Freeland got wind of the operation, and decided her best defence was a counterattack on Russia. If her defence fails, she goes. If she survives, her Ukrainian story will be a disqualification for higher office. Either way, Trudeau can calculate he wins.